More than 95% of Bridgeport children are economically disadvantaged. Low-income children in Connecticut public schools are almost four grade levels behind their upper-income peers. This marks the state as having the largest such “achievement gap” in the U.S. In Bridgeport, the median household income is $26,256 compared to the median household income of $74,000 for Fairfield County. Many families and schools in the poorest city of Connecticut can ill afford the benefits of art education programs. Students of lower socioeconomic status who took music lessons in grades 8–12 increased their math scores significantly as compared to non-music students. In addition, reading, history, geography and even social skills soared by 40%. Conservatory high school graduation rates top 90% compared to 63% for Bridgeport and 79% for Connecticut statewide. 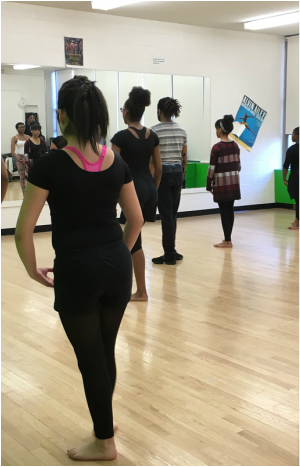 Approximately 60% of Conservatory students go on to receive college degrees as compared to 16% in Bridgeport and 35% in Connecticut. Neighborhood Studios is an accredited member of the National Guild of Community Schools of the Arts, the United Way. Neighborhood Studios is the winner of a 2005 Coming Up Taller award presented by the President’s Committee on the Arts and the Humanities.